Wow! What an excellent dinner theatre experience. At Captain Hook Cancun we set sail on the Black Pearl with Captain Jack for an evening of drinks, steak, lobster and an awesome pirate show. My son loved it, although slightly frightened at times (he’s only 3). The show starts while your boarding the ship and the entertainment never stops. Your MC is Captain Jack. If you board the other ship, there is another captain and another show. The show is mostly bi-lingual in both English and Spanish, so don’t worry if you don’t speak Spanish. However, some of the jokes and innuendos are only funny if you understand the subtleties of Mexican slang. The Captain Hook Cancun Pirate Cruise is all inclusive of drinks and half way through the show, you break for dinner. After dinner, the show climaxes when the two ships come together side by side and pirates and crew of both vessels swing from the masts to the other ships, battle with swords and the patrons yell and scream at the other ship. The excitement is incredible. After the battle is over, more drinks are served and the vessel turns in to a night club for the trip back to shore. It’s complete with loud music and light show. The deck becomes a dance floor. I highly recommend Captain Hook Pirate Cruise. This as a great night out if you’re staying in Cancun. All inclusive drinks, steak, lobster, pirates and a cruise on the ocean. Who could ask for anything more! 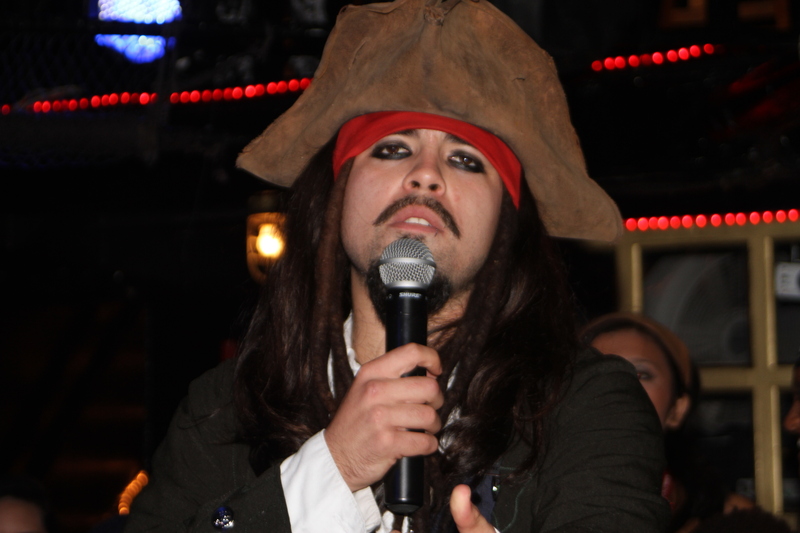 PS – You can tell your friends you got drunk on a real pirate ship! 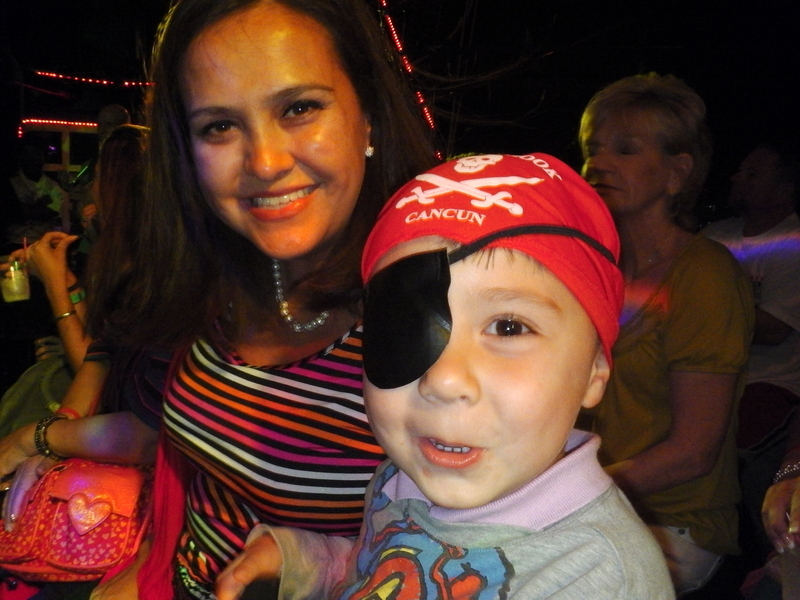 For more information on Captain Hook Cancun Pirate Cruise you can check out their website.